The Orlando Sentinel has recently reported that Republicans in the Florida House of Representatives are trying to limit the amount of compensation that injured victims can receive in a lawsuit. The impetus for the legislation is a new conservative majority on the state’s Supreme Court, which Republicans believe will uphold the constitutionality of any personal injury damages caps. Damages are the sum of money that an injured victim can receive in a lawsuit or settlement. Generally, victims can receive compensation for economic losses, such as lost wages, medical bills, and property damage. However, victims can also receive compensation for non-economic losses, like emotional distress or pain and suffering. It is damages for these non-economic losses that the legislature wants to curb. The bill, HB 17, would cap non-economic damages at $1 million. Its main sponsor is legal counsel for a Daytona Beach insurance brokerage, which argues that these caps are necessary for increasing the stability of insurers. The Florida Supreme Court has shown hostility to capping damages. For example, the Court struck down a cap on non-economic damages in 1986 and has been undermining a cap for medical malpractice lawsuits since the law was passed about 15 years ago. But with a new conservative majority, the Court might uphold a damages cap this time around. Are Caps on Damages Necessary? Non-economic damages get a bad rap because, unlike medical bills, there is no bill or receipt that shows how much money the victim has lost. When a person claims they couldn’t work for 2 months, they can show their paystubs. There is rarely controversy around the amount of economic losses. But things are different with pain and suffering or emotional distress. There is no receipt, no bill. Instead, jurors must use their experience and common sense to come up with a number they believe will adequately compensate a victim for pain, inconvenience, and emotional distress like anxiety or depression. Imagine you are paralyzed and can never walk outside or use your arms. You might feel like a prisoner in your own body. How much money can truly make up for that kind of injury? Clearly, just receiving lost wages and medical expenses is not enough; you have suffered an injury that seriously diminishes your quality of life. Because jurors have discretion, they sometimes award huge jury awards for pain and suffering and/or emotional distress. However, the number of mammoth awards is small—much smaller than insurers would have you believe. And there is little empirical support that passing a cap on damages will lower insurance premiums, a common claim. 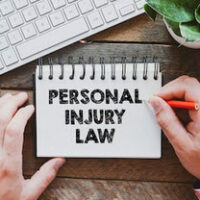 Even if the legislation passes, injured victims will still be able to receive compensation for non-economic losses, which are well entrenched in personal injury law. If you’ve been involved in a car accident, truck accident, or slip and fall, we can help. We will go over your situation and estimate the amount of compensation you can receive. Contact Bundza & Rodriguez today. One of our Daytona Beach personal injury lawyers will be happy to meet with you if you call 386-252-5170 to schedule your free consultation.